Thank you for visiting 1St Chicago Locksmith services, we provides Automotive keys replacement Services and complete locksmith services for Mazda car models. in case you lost your Mazda key or Smart Key, Our Experts can help you out and Replace your Mazda key in same day service for all Mazda models, you have reached to the right place! 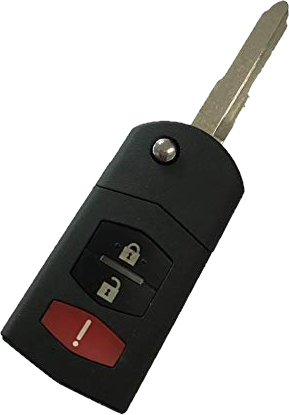 Pro-Keys locksmith company employing highly trained local technicians that specialized in Automotive Keys and also Mazda keys in Chicago Area. Here at 1St Chicago Locksmith we provide all type of keys and rem otes for Mazda Automotive manufacturer. Our professional and experienced technicians, who are available 24 hours 7 days a week, to provide you with full Mazda automotive locksmith services which includes Mazda Keys replacement, key making and Lockout services fast and easy! Mazda Motor Corporation is a Japanese automotive manufacturer based in Hiroshima, Japan. During 2007, Mazda produced almost 1.3 million vehicles for global sales. The majority of these (nearly 1 million) were produced in the company’s Japanese plants, with the remainder coming from a variety of other plants worldwide. As a locksmith we can replace lost ignition keys and program Mazda chip keys duplicate all Mazda chip keys. Mazda high security keys. Repair or replace, re-key Mazda ignitions. Extract broken keys from all Mazda vehicles. We also program all Mazda remote keyless entry.